Warning: As of late 2018 and into 2019, the FDA is going from state to state trying to get them to ban Ketum. This is because the federal efforts have repeatedly failed when up against the A.K.A. Their first stop was Ohio, in an attempt to stop a major live plant supplier who has a shop setup there. 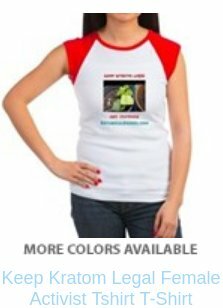 See the American Kratom Association to learn how you can get involved and keep our herb legal. Understand that signing their petitions and doing what they ask is the only reason this stuff remains legal to this day! 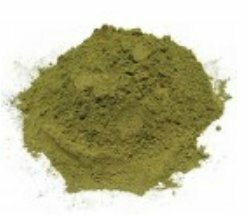 Kratom is a very popular herb from the pacific islands. It's more of a tree really. It's not like "designer drugs" because it's not laced with anything. It's related to Coffee, only with a catch.. no caffeine.. Instead, it naturally produces a series of opioid-like phytochemicals that drug companies have already made drugs out of and hold patents on. Maeng Da is an Asian street slang term which can be thought of as the equivalent to "dank" (in reference to Cannabis).. It basically means "really good quality", or "the best of the best". Maeng Da is one of the most popular types of Kratom. Other strains can be found in South East Asia. They are typically named after the origin ( where the tree was harvested ) and after the color of the veins of those leaves during harvest. Some goofs here in the USA have occasionally given them goofy names like "OG BALI", causing confusion to customers who fear it may be related to 'designer drugs'. Fear not though, it's completely natural and harmless. The vein colors effect the phytochemical makeup of the plant. It's sort of like when you harvest Marijana at different times, you get variations in the cannabinoid content. The same concept goes with Mitragyna speciosa. So the names are basically, where it's harvested / vein color. Maeng da is supposedly the best, according to many people but taste is taste and people argue about this all day long. Don't knock other varieties until you try them though. Personally, I like to rotate my strain of choice, and even combine them at times. Try it, you'll be impressed! Dosage Information Is For Harm Reduction & Education Only. It can really prevent a lot of wasted herb and negative effects to simply tell you all the truth. This is all based on what I have learned over the years. You always want to start low, because once you take too much, all you can do is wait. One gram probably isn't enough for someone who uses it every single day, but maybe you should start that low if it's your first time. For people with a higher tolerance to opiates in general, read more below. Note: Kratom is not a true opiate. I'd say 1-4(MAX!) grams is enough, and if it takes you more than 4, you're a kratom head and take too much of it. It works best when taken orally with a spoon ( 1/4-1/2 of a small spoonful, once or twice = 1 dose) or, in the form of a tincture or an acidified tea. The ratio for mixing the alcohol with the leaf should be around 4 grams of plant matter per one large shot of liquor. An oral dose of Maeng Da is from 1-4 grams maximum. Never exceed a 4 gram dosage. No one, should ever need over 4 grams per dose. In fact, anything over one gram is excessive, however; everyone reacts differently so that's the point. A capsule will hold a gram. They take longer to kick in, but are a great way to measure out specific dosages. Maeng Da has a distinctive energy to it that is closely related to that of the Thai strain. Leaves of this strain are also clearly distinct in their appearance from other strains, sporting more of a serrated edge rather than a flat edge. Some claim it to be the original variety of Malaysia, and its genetics were imported from there to other regions of the world. This makes sense because I love me some Malaysian Kratom! Indonesia has some bomb stuff too. It's finely ground into a powder and compressed by the suppliers there so that it packs the most punch for your buck. Medicinally, this plant behaves like Morphine, being an opioid receptor agonist. It has been used in the management of chronic pain by herbalist. Fortunately, it does not show up on drug test because it's not the same pharmacologically as opiates. Much research has been conducted on the chemistry of this plant. Phytochemist have isolated around 40 valuable compounds from the plant. The plant is literally a pharmacological gold mine. The government knows this and selfishly wants to discredit it, its people, and get rid of it. It's very upsetting and unsettling. Certain statements on certain pages may or may not be of my own opinion, observation, conclusions, etc. Certain facts may or may not be refereced to Wikipedia and are also common knowledge. I have chosen to list them as a source regardless. No one associated with Wikipedia endorses me or my work. Piping Rock - Vitamns, Herbs, Supplements (HAS CC)!